This amazing team Makes. Things. Happen. They get it! They are professional, understanding and easy to work with. Our goals were met and we cannot thank them enough for helping us find a home for our growing family. Rebecca and Toma are amazing! They really stand behind their client and do everything they can to help. They go above and beyond. We are indebted to them for making our last home sale and move as seamless as possible. They are great to work with and you can’t go wrong having them represent the sale of your home! Purchasing a new home is always an emotional whirlwind. Purchasing a home remotely just adds to the uncertainty and stress. We met Rebecca Milbank by recommendation from a trusted source. Our goals were specific, she listened. We were unorganized, she provided recaps and reports that pulled everything together. She is very connected and shares her tried and true resources. She guided us every step of the way. As a New Home Site Agent, I deal with Real Estate agents on a daily basis. In truth, very few show the level of professionalism, expertise and genuine care that we experienced with Rebecca. She is a true resource for all things Real Estate. It is without hesitation and with absolute certainty that we highly recommend Rebecca. She will exceed your expectations as she did ours.Tony and Arlene LadellAKA - Happy Homeowners!!!! Rebecca and Toma were amazing on so many levels! Trying to sell a house from thousands of miles away can be a bit stressful and Rebecca and Toma totally put our minds at ease and took care of EVERYTHING for us! Our home was listed with another agent for nearly 6 months. We then hired them and they brought life back into our home and got it sold quickly without reducing the price! We are forever grateful for their professionalism and determination! They are the BEST!!! I would like to inform you of my experience with your agent Toma Milbank. I first met with his wife, Rebecca Milbank, regarding the possible selling of my home. Shortly after I met Toma. There are no words to describe Toma. I instantly felt a connection and a sense of trust that I knew I could count on him. My husband and I have a very difficult, non-traditional work schedule which made it hard for Toma to do his job. Toma worked around our schedule and made everything seemingly possible even though for most seemed impossible. There were many times in which I thought my home will not sell, but Toma always made me feel better and not lose hope. As time passed, Toma became more than just an agent. He became part of our family sharing our celebrations and disappointments. I've yelled at Toma, cried with Toma, rolled my eyes at Toma, laughed with Toma and made fun of Toma. Toma was no longer a real estate agent. He was our friend who was selling our home. They always made time for me and genuinely cared. Many early morning conversations to discuss strategy to late night conversations to discuss opportunities. The selling of my home became a major part of their lives to a point that their kids heard my name spoken way too many times. It became clear to me that they were invested. You are very lucky to have agents like Rebecca and Toma Milbank. They are honest, caring and "real". They do not do their job for a quick buck. They honestly care and will be truthful even if the end result does not benefit them. Our family is eternally grateful for everything they have done for us. From the very beginning, Rebecca's knowledge of the area (including neighborhoods, schools, access to conveniences, etc.) impressed us the most. She was able to provide pro's and con's for each neighborhood in which we inquired, as well as provide additional neighborhood's for us to look around. We were out of town for most of the process and Rebecca took it upon herself to personally tour homes we were interested in and provide guided tours by phone. Since we were unable to be in the area in person, this was extremely helpful. Once we decided upon a home, Rebecca worked tirelessly throughout the buying process to ensure things were going smoothly and items of concern were addressed promptly. Even after the home buying process was complete, Toma and Rebecca continued to follow up on outstanding items until we were satisfied. We would definitely recommend Toma and Rebecca for any buying or selling process. They are honest and truly look out for their client throughout the entire process. 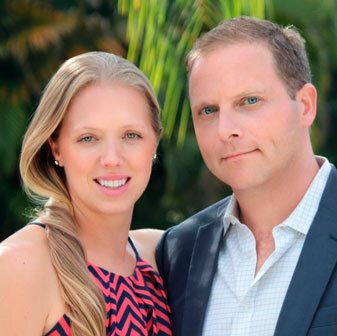 The Milbank’s recognized the unique features of our property and worked hard to market them. They followed up with each prospect and reported the news, good or bad to us. They did a number of open houses and they were most helpful with every aspect of the closing. Toma arranged for contractors to do the fixes identified by the home inspector and he personally monitored their work. We were out of country during the negotiations and finalizing of the sale and Toma and Rebecca were terrific. On top of all this they are very kind, honest people. I would use their services again for certain. Very happy with this dynamic dual. They took time to perfect the listing. They remained in constant contact with frequent updates as we lived in another location. They truely take great pride in thier work and thier clients’ satisfaction. I cant say enough on how happy we are with Rebecca and Toma. Rebecca and Toma were so knowledgeable, professional and helpful! They walked me through each step of the process and always were available with honest advice with my best interests in mind. They took care of ensuring that I had a thorough home inspection and continue to follow up to offer help even after closing! I would not hesitate to recommend them. They truly go above and beyond! Great people and family! Would recommend to anyone! Please contact them for all your needs, nothing was too big or too small. They go above and beyond in their service and are very personable. They sold our house in no time and their pictures/video were the best we have ever seen. The Millbank team was awesome in a time when sales were slow in our area! They couldn't have done enough to help us- from painting to arranging for repairs to be done reasonably and quickly, holding weekly open houses and doing gardening!!! As non residents of Florida, we would highly recommend Toma and Rebecca - they handled all details while we were not in the country and kept us in the loop. They didn't just list our property, they worked tirelessly to sell it!! !